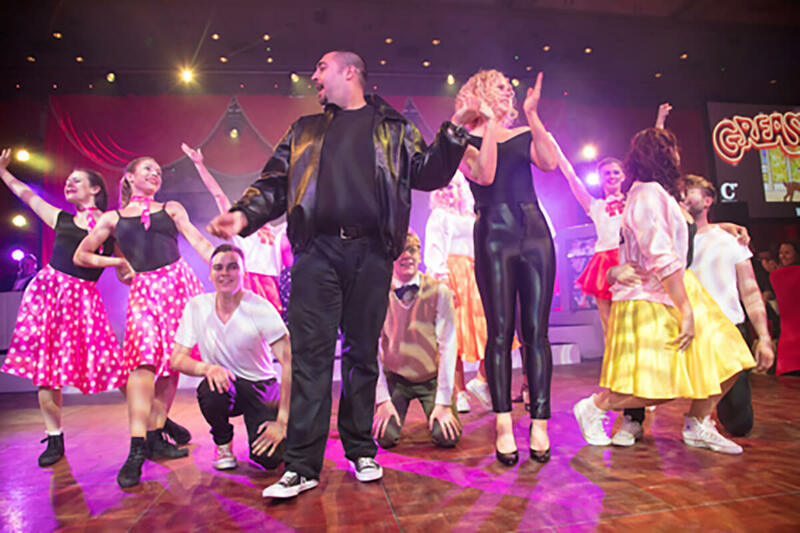 Matt Turner, Marcella Whittingdale and Chestnut Tree House…why it’s got to be Grease lightning! The Midsummer Ball at the Hilton Brighton Metropole saw businesses from across the South East come together for a very special summer night; raising £100k for charity. The night saw The Creative Group’s very own Matt Turner taking on the role of Danny Zuko, performing a Grease medley with Marcella Whittingdale. Competing with several other acts, Matt and Marcella raised over £1,800 for Chestnut Tree House. The fantastic event was in partnership with; Chestnut Tree House, a children’s hospice for young people with life-shortening conditions, the DM Thomas Foundation for Young People, a charity dedicated to helping disadvantaged and vulnerable young people transform their lives, as well as Chailey Heritage Foundation, The Starr Trust and Action Medical Research for Children. To find out more about The Creative Group and what we can do for your business, visit: http://thecreative.group/ or simply follow us on Twitter and LinkedIn for the latest news and updates. Specialising in identifying and developing new routes to market from North America to the UK & Ireland. We manage all facets such as research, analysis, brand positioning, revenue streams, tax/accounting, insurance, IT, legal and office fit outs. Far more than a broker, ECHO is a global specialist in corporate sponsorship, brand activation and corporate advertising. We give the brands we work with bespoke opportunities and maximum exposure, by marrying up brands with leading figures, events and opportunities.